Josh was born in Shrewsbury in 1996 and moved to Whimple in East Devon before starting primary school. Josh completed his GCSE and ‘A’ Levels at The Kings School, Ottery St Mary. He moved away from Devon to attend University in Liverpool, graduating in 2018 with a BSc (Hons) in Computer Forensics. 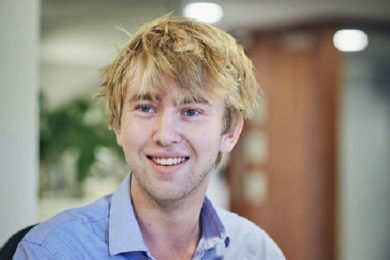 After finishing University, Josh returned to Devon and started with Hawksmoor as a Trainee Investment Administrator in July 2018. When not working, he enjoys walking his two ‘excitable’ Jack Russell terriers, socialising with friends, attending festivals and when the weather allows, white water kayaking.